Royon plaats van groen in het midden van de 7 Vallées, is het huis gelegen in een groot park. Kleine zelfstandige woning op een voet, tuin, kinderspelen. Salon, eetkamer + cabriolet. Aparte keuken. Twee slaapkamers: een met 1 bed 2 personen en een met 2 bedden 1 pers. Apart toilet, badkamer met douche. Wifi internettoegang. Storting, kosten in aanvulling. Gemeenschappelijke wasdroger. Eenvoudige,maar goed geëquipeerde woning in een schitterend kader. Heel vriendelijk onthaal door de eigenaars. It's not every day that you get to stay in the grounds of a chateau, is it? Okay, so the chateau today was rebuilt in the 1960s (since the original Louis XV creation was bombed a couple of weeks before the D-Day landings), but the presence of the building, the semi-moat and the huge park around it all add to the flavour of the place. Breakfasting next to a running stream is a novelty - and you can do it from inside the gite, if you like. You'll probably see the local heron (who likes to take an apéro from the moat) and possibly a water vole in the stream complex around the property. The area has plenty to offer, too, from restaurants and theme parks to quaint villages and sandy beaches by the bucketful. The owners were extremely helpful, and couldn't do enough for us - to the point of relaying an Internet cable! 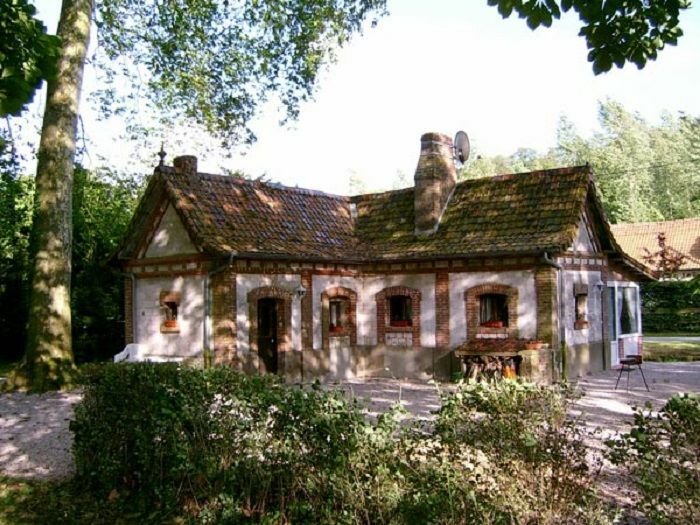 The gite itself is very cosy and comfortable but there are just two bedrooms - something to bear in mind if your children don't get on too well. It's certainly worth a stay - we'd use it again. Thank you very much for this appreciation as kind as you are! We'd be glad to welcome you again!